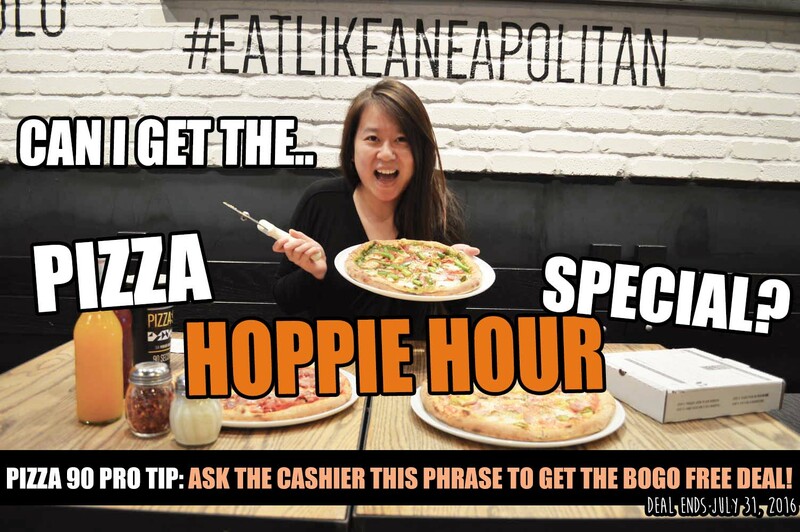 GET BOGO FREE WITH THIS SECRET PHRASE @ PIZZA90 - IRVINE & RIVERSIDE - EAT WITH HOP! CAN I GET THE PIZZA HOPPIE HOUR SPECIAL? I'm hooking you up with a BUY ONE GET ONE FREE any purchase deal for Pizza90! All you gotta do to get this deal is by saying that phrase to the cashier! *Dine in only. Have you been to an assembly-line pizza spot before? You know, where you can custom make your own pizza by adding whatever ya want to it! I noticed many of these type of establishments poppin` up everywhere. 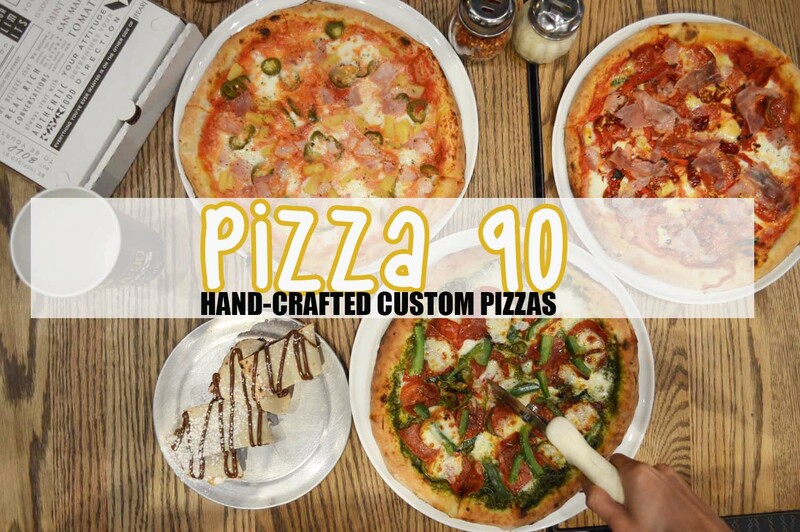 But if you're gonna try one of these places, I highly suggest Pizza90! They're one of the few places I know that actually make their own pizza dough in-house and hand toss it too everyday! EVERYDAY! Now that is some dedication to delivering quality and fresh! They have premium ingredients for you to choose too! And if you aren't convinced yet to try it, what better time to try it then this summer with my deal! Buy one get one free deal is going on right now as long as you mention the secret (only for you Taste Buds!) 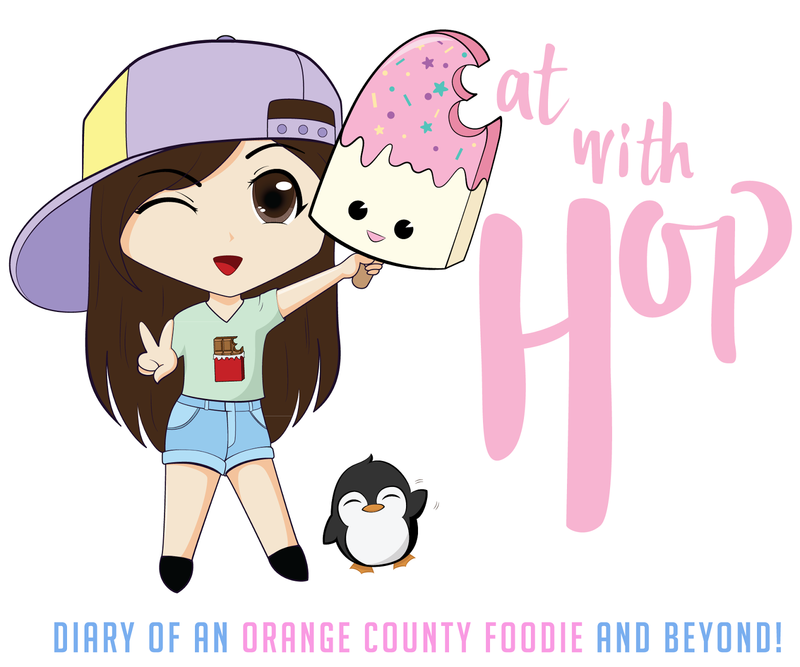 phrase, "Pizza Hoppie Hour Special!" *In the same plaza as Ralphs!